Hip hop at Harvard? I’m sure you never expected to hear those two words in the same sentence. Rap icon, Nas, ventured to Harvard University last week to introduce the Nasir Jones Hip Hop Fellowship, a scholarship awarded to two scholars dedicated to inciting change through hip hop music. The fellowship is designed to help visiting scholars partake in hip-hop related research at the Cambridge institution. The scholarship is the result of a substantial endowment from an anonymous donor who wanted Nas to be the poster child of the unique program. The donor got his wish when the Queens native agreed to lend his name to the fellowship following an email request from Harvard professor, Henry Louis Gates (the current host of PBS’ The African Americans: Many Rivers to Cross). I totally agree. If you want to understand why the current generation of young adults and adolescents act the way they do, check out the music they listen to. It’s not the main reason, but it’s a good indicator. Nas’s involvement with this program showcases his support of music as a cause rather than pure entertainment. It may be ironic that the 18-time Grammy nominee is the face of an Ivy League scholarship despite never obtaining a high school diploma but Nas’s successful rap career epitomizes the belief that music is more than just lyrics and tempo. 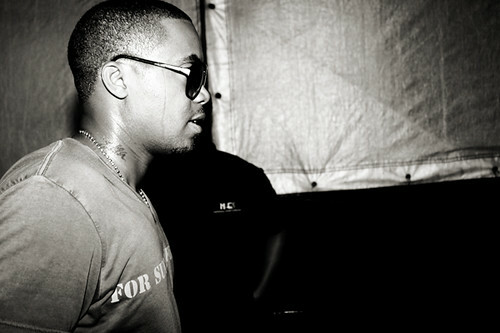 Nas claimed that he was drawn to hip-hop because it is an education in it itself, aiming to address different problems. Despite being a middle school dropout, Nas used hip-hop to abandon his past mistakes and channel his struggles into songs that uplifted others. Throughout his career Nas appealed to millions of people with message-filled songs like “The World is Yours” and “I Can.” Now he wants to open the door for others to do the same. Who would have thought he’d start the search at Harvard? Flashback to the early 90s where hip hop artists as Dr. Dre and Tupac stand there wearing oversized clothes and flaunt their go-to cranial accessory: the snapback. Now flash forward to the present, where members of the underground hip hop clan OFWGKTA (led by Tyler, The Creator) stand there with their recycled accessory: the snapback. They are among many urban artists nowadays who are bringing back the trend. The return of the snapback has been steadily boycotting the fitted baseball caps of the early 2000s since about 2010. It made its first explicit appearance in Tyga and Chris Brown’s “Snapback Back” in 2011, which interestingly enough is a remix of a Tupac song. So, the subculture is bringing back this trend, and it has taken well to many many other subcultures. It is a favorite of the swagged-out bro, the ironic hipster, the angsty teen, the festival-goer and even the young high-class designer. A cheaper option to the fitted baseball cap, the snapback is really just a stylish option. It’s just that cool. Although the snapback is a stand-alone accessory, there are many ways to wear it. For the male population, the most common look is a pair of black jeans (skinny, regular – even flared works if that’s your thing) and a graphic T-shirt. It’s pretty basic, but you get the point. For the females out there, the snapback gets a little trickier to wear. You just have to know what you are going for. Step one: Look at yourself in the mirror (and tell yourself you are beautiful a couple times because I bet you are). Step two: Ask yourself what look you are going for (you can choose from hipster, high-fashion, grunge or urban street style). Step three: Proceed to dress yourself. If you chose the hipster style, go for skinny jeans or high waisted cut-offs with some ironic T-shirt or just a plain white one. Wear leopard print platform sneakers if that’s your thing. If you choose grunge, wear lots of black. LOTS of black. Maybe even add a little color with the snapback or a nice flannel, or hey, stick with black, I can’t tell you what to do. And if you choose urban street style, just wear what you like, but please try to refrain from looking like Miley Cyrus. Unless that’s your thing too. Where to get them? Depending on your price range, here are a couple brands you could get. For $60 and onward: Try Stampd LA, Mark McNairy, Braggadocios, and Pigalle.